It was a coincident, but a beautiful one. While I was searching for the old books in the Grand Bazaar of Turkey, I visited the Suleymania Cami for the first time ever. It was a bit far from the Misri Bazaar that my parents and I were walking in but it was worth the visit. I was always curious as to where the Magnificent Suleyman was buried and I saw it with my own eyes today. The structure of the Cami (Masjid) was truly magnificent. Not only because of its size, but even the design and number of domes. It was so spacious on the inside as it is on the outside. We were fortunate enough to walk around the place with a beautiful breezy weather. Within the Cami/Masjid was located Sultan Suleyman’s tomb. He was a great leader with great history full of achievements. 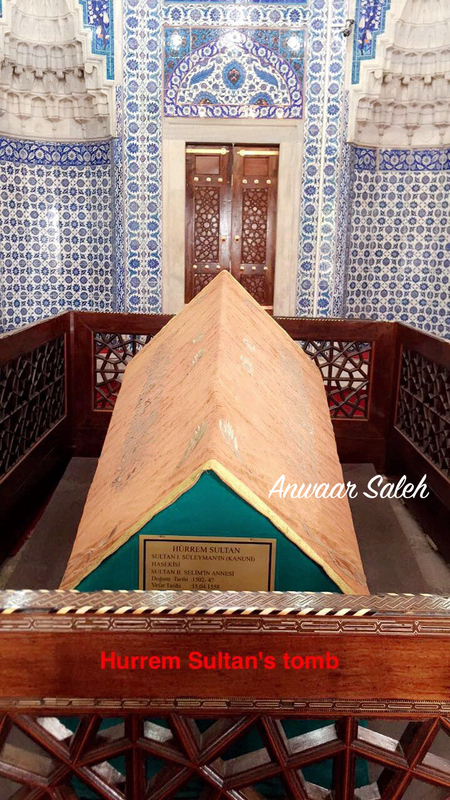 Next to his tomb were Mihrima Sultan his daughter, Suleiman II and his brother Ahmed, Dilaşub Saliha Sultan, and Ayşe Sultan. 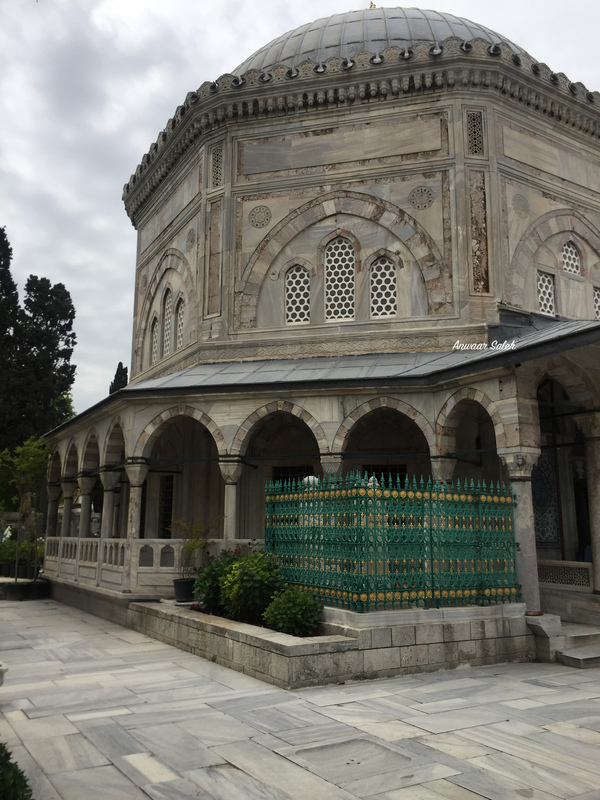 Since Hurrem Sultan (Sultan Suleyman’s wife) died before him, she wasn’t buried next to his tomb. Yet, they were all buried at the same Cami. I’ve always been fascinated by the Ottoman Empire’s history and I read a lot about it. So watching the Sarays (Palaces) they ruled from, their tombs, and everything related to their history feels truly wonderful. Note: I did cover up the whole journey in my Snapchat: Artistakw. You can watch the story before it disappears. Else, you lost a great chance to watch this beautiful Cami. This was a quick post for you guys to have time to look at more photos in my Snapchat account. But you can also wait for a better coverup of this story in a future blog post.